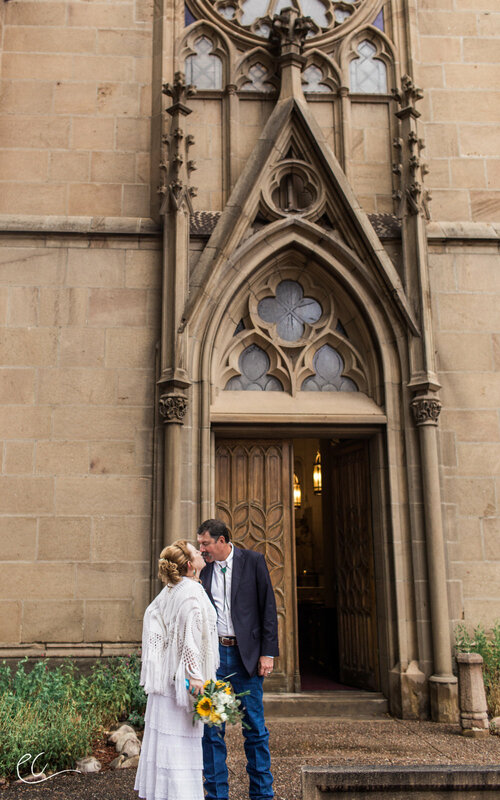 Annabelle and Tony got married on a beautiful September day at the Loretto Chapel in Santa Fe, NM. 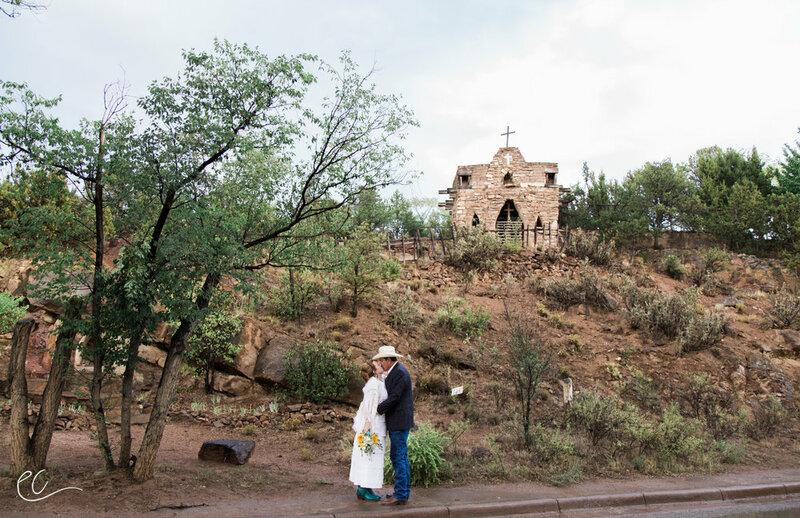 We took couples photos the day before the wedding at various locations around Santa Fe, including the Cross of the Martyrs and Upper Canyon Road. 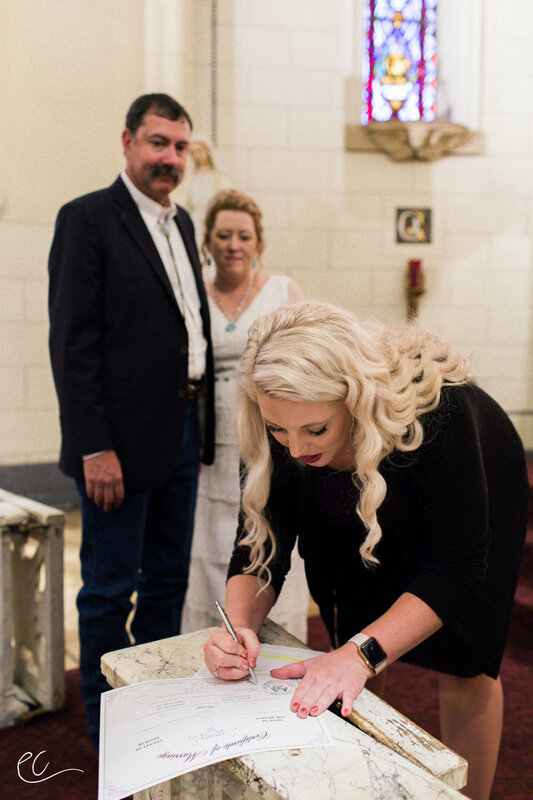 The bride got ready in an apartment above The Pink Adobe with great views of The San Miguel Mission, the oldest church in the United States. 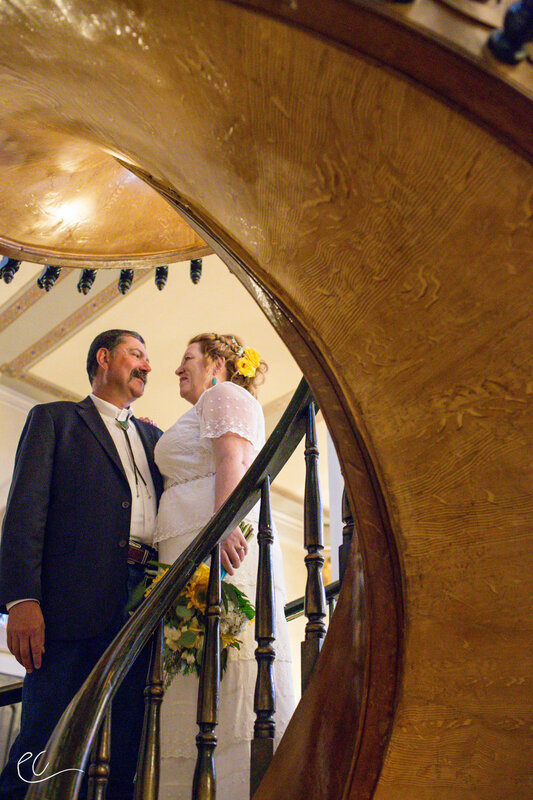 The ceremony was in the gorgeous Loretto Chapel, which was filled with lights, while rain poured down outside. As soon as the ceremony was over, the rain stopped and the getaway car pulled up, a 1976 Scout International filled with yellow roses. 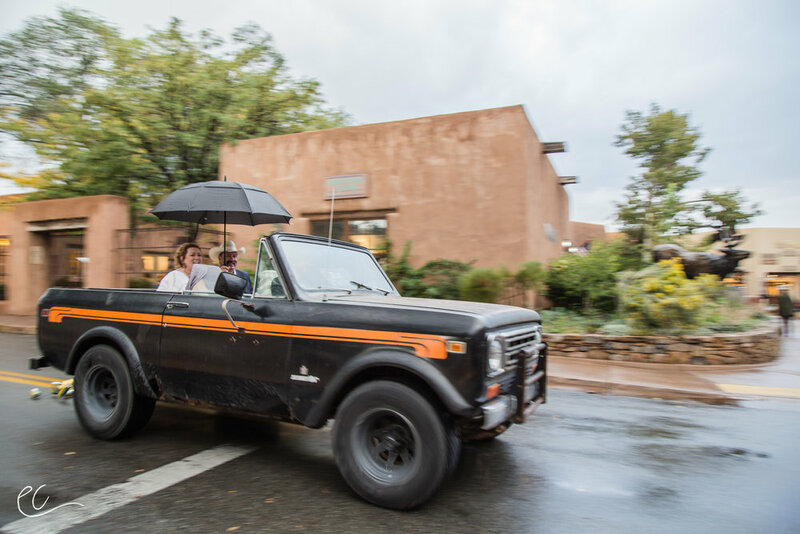 The driver, the couple's son-in-law, took a loop through downtown Santa Fe where the people on the plaza poured into the street to cheer for the newlyweds. 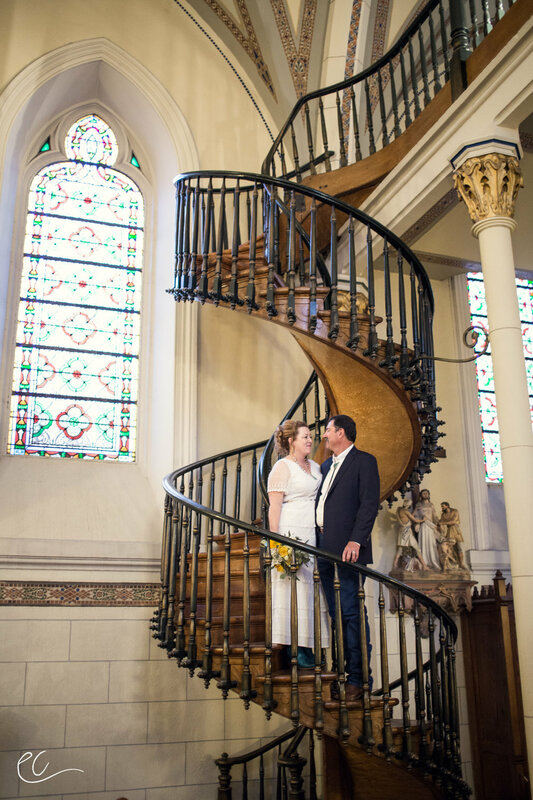 He drove past the St, Francis De Assisi Basilica and up Cerro Gordo to an old stone chapel above Santa Fe where we took couples portraits. Afterwards, we arrived at the Reception venue where the back patio was filled with hundreds of lights and smiling guests. Guests greeted the couple just as the rain started again. A guitarist played melodies while pizza and beer was served. 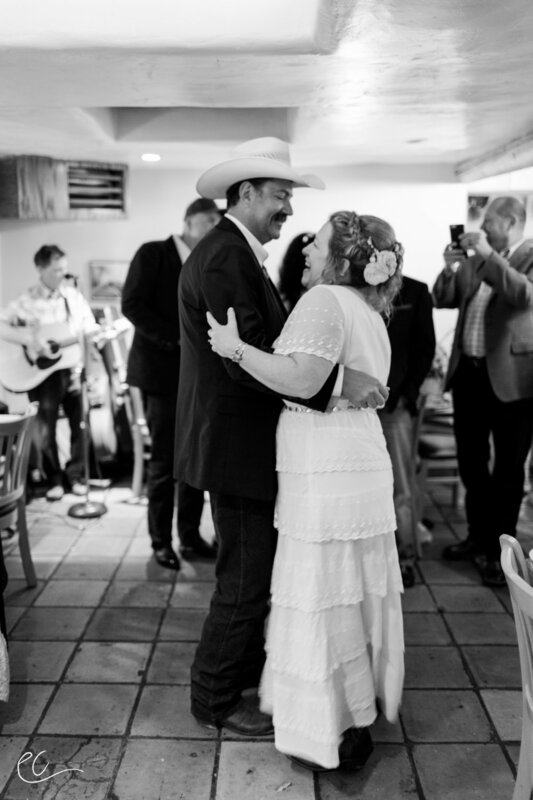 Guests crammed into the cozy adobe building to celebrate Annabelle and Tony's union. The rest of the evening was filled with laughter, singing and many pints of craft beer. Cheers to Annabelle and Tony! 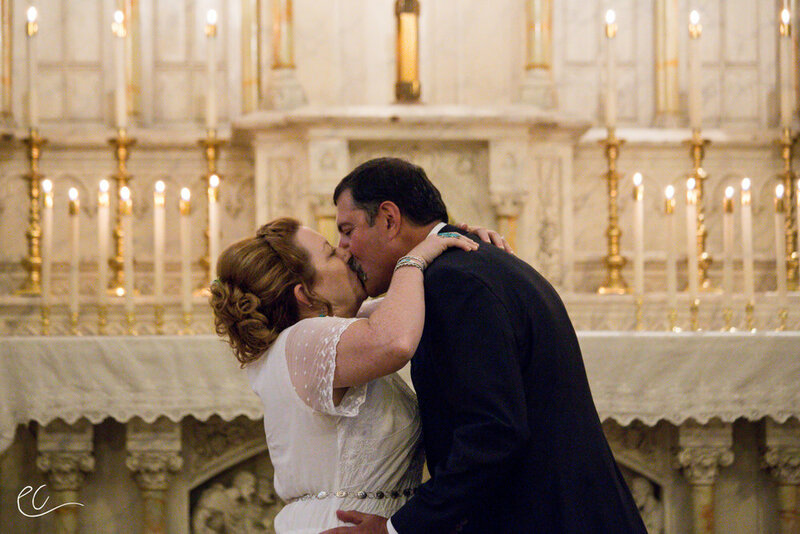 You can view their full wedding gallery and order prints here. The wedding gallery will expire on Dec. 26th, 2017.